Lovely new story with only two words. 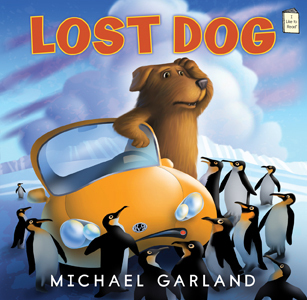 The story is told through the illustrations and the lost/found pattern even the youngest readers can pick up on quickly. Bear has a long red scarf which he loses in the woods. It is found by two raccoons who end up losing it over a game of tug of war. The scarf is then found by a series of forest animals who end up losing it. When the wind eventually blows the scarf into the middle of the meadow all of the animals fight over it and tear it to shreds. With nothing but red yarn left, the animals gather it all up and sit in a circle as the bear knits a new scarf, longer and thinner than the first so that everyone can share it while sitting around a campfire. Kids and parents will fall in love with Bear and his new friends. Learning to share is so much better than fighting and tearing apart. The art work gives so much for you to feast your eyes on. The details are in the drawings. I would love to hear a little one tell a story using the pictures. Storytelling and vocabulary building are so important to reading development. 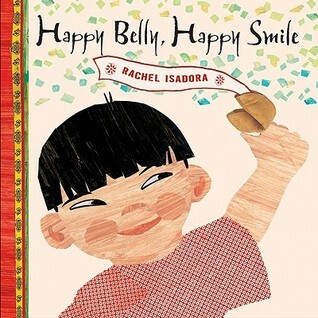 This is the perfect book to engage a child’s own story. Do you have older kids who would like to learn how to knit? Try one of these methods. Summary: Pete, the dog, was on his way to his grandma’s house to give her a birthday present when he decided to get off the busy highway. Pretty soon he was lost. He got directions from the bear in the woods, the buffalo on the plains, the jaguar in the jungle, and the whale in the ocean. Soon he found Mutt Street and his grandma. Literary Merit: Easy vocabulary. Phrase repetition. Kid Appeal: What happens when a dog (pet) gets lost? Can he find his way home? What adventures could he have along the way? I love that when I type in one single word, SMILE, onto my library’s search page I get 1819 suggestions! Clap Along! 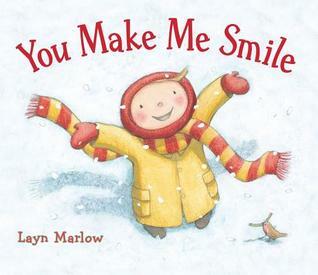 This books makes me smile all over! A snowman tells the story of a child enjoying a special day, the first snow day of the year. The snowman anticipates the day before the snow starts to fall and while the child is getting bundled up. Finally the child builds the snowman, gives him a warm scarf and makes him smile with a small curved twig. And although spring is around the corner, the snowman promises that he will be back when the seasons pass and winter returns. Louie spends every Friday with his grandfather. Grandfather owns a Chinese restaurant, and Louie knows everyone who works there. One Friday, Louie sees his friend, Franklin, at the restaurant. At the end of the meal, Grandfather opens his fortune cookie. It says ‘Happy food, happy belly, happy smile.’ Louie and Franklin put an orange slice in their mouths and give each other a huge smile. Little Roo was feeling grumpy. Nothing his mother did helped him feel better. She tried tossing him up in the air and tossing leaves over his head, but still he didn’t smile. Finally, his mother put him in her pouch to go home for lunch. But partway down the hill, Little Roo’s mother slipped in a mud puddle and got them both muddy from head to toe. 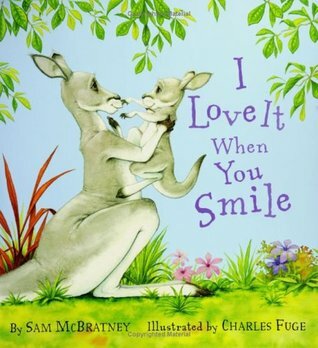 When Little Roo saw his mother’s muddy face he couldn’t help but… smile! Kyle the Crocodile woke up feeling grumpy. His mother sends him out to play hoping he’ll find his smile. Parrot tried to cheer him up with his silly noises. Orange Monkey tried to cheer him up with her silly faces. Elephant tried to cheer him up her noisy bubbles. But nothing worked. Then Kyle the Crocodile round Little Lion Cub sitting by himself. Little Lion Cub had lost his way home. 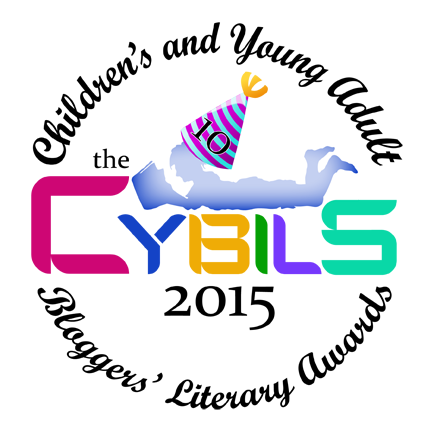 So Kyle and Little Lion Cub go off together to find what they had lost. To cheer up the Little Lion Cub, Kyle made Parrot’s silly noises, Orange Monkey’s silly faces, and Elephant’s noisy bubbles. Little Lion Cub soon felt better. When they reached the deep purple cave, Little Lion Cub was even happier because they had found his home. 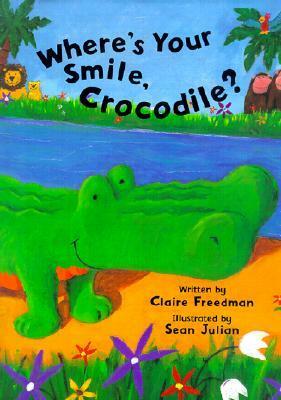 And Kyle the Crocodile felt better because he had found his smile. This collection of adorable babies will make you smile too! 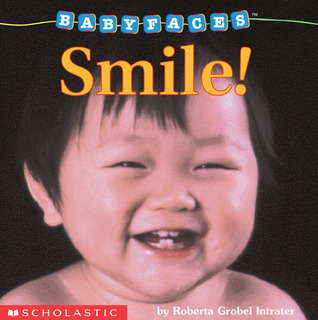 Simple, rhyming lines and photographs of real smiling babies create a special boardbook for babies and toddlers and their parents.